Hop Merchants for over 150 years. 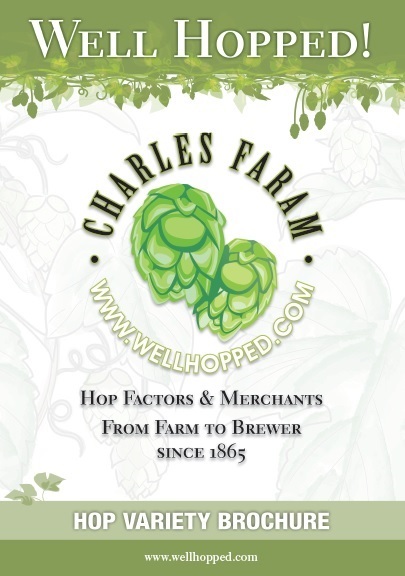 Charles Faram has one of the largest range of hop varieties available from stock in both vacuum packed leaf hops and Type 90 pellets. Varieties come from the UK, Belgium, Czech Republic, France, Germany, Poland, Slovenia, New Zealand and the USA.Faram’s provides an artist’s palette of flavours to create every type and style of beer from the traditional varieties to exciting new developmental varieties from Faram’s own breeding and development programme. Our own varieties include Archer®, Godiva, Jester®, Minstrel® and Olicana®. We also supply Crisp, Castle and Weyermann® malt, Murphy’s and Vicker’s brewing aids, Fermentis yeast, Rankin shives and keystones, Dolium one-trip kegs, sensory training kits and natural hop products such as HopAlpha for bitterness and HopBurst for aroma. At Charles Faram we can help you with brewing technical advice and variety recommendations. We are a grower-owned hop merchant, originally based in Worcester, we are now situated in the tiny hamlet of Newland at the foot of the picturesque Malvern Hills. This means that we are ideally placed for collection or distribution through the UK. We also have offices and cold stores in Yakima, Portland and Toronto.